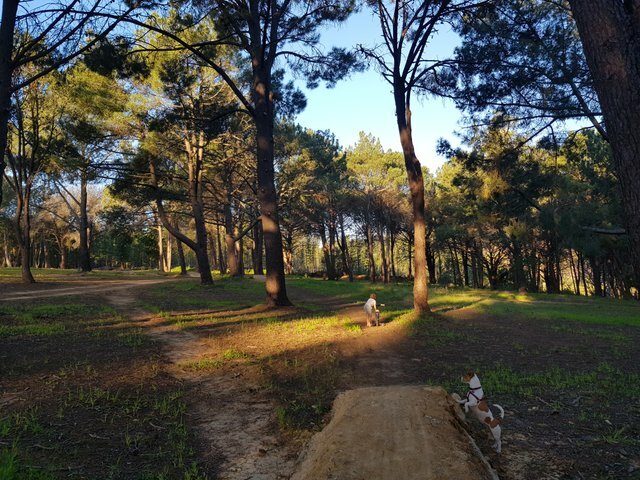 I did more sunset trails this afternoon while my son practices on his bicycle in the forest here in Stellenbosch. The weather was again great and we were joined by our Jack Russell, Ghost. You got a 3.42% upvote from @emperorofnaps courtesy of @extremejogging! You got a 5.26% upvote from @oceanwhale With 35+ Bonus Upvotes courtesy of @extremejogging! Earn 100% earning payout by delegating SP to @oceanwhale. Visit www.OceanWhaleBot.com for details! You accordingly gained 100 Actifit tokens for attaining 11473 tracked activity! You also received an 3.44% upvote via @actifit account.